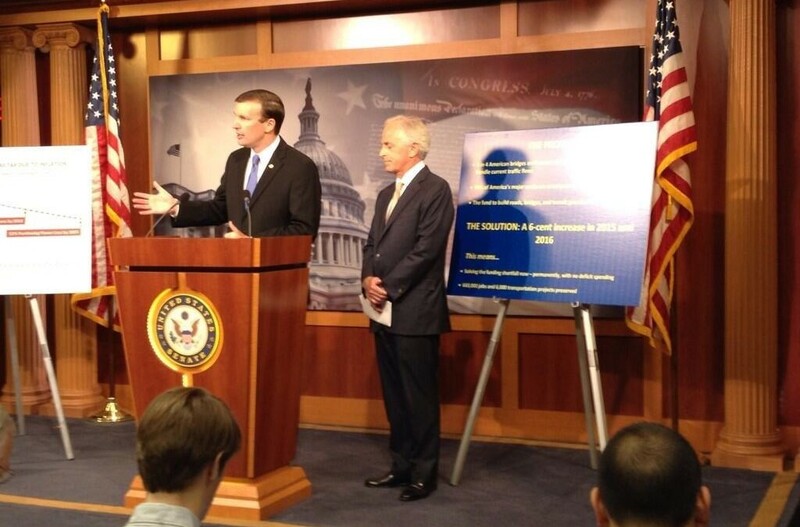 Senators Chris Murphy (D-Conn.) and Bob Corker (R-Tenn.) June 18 announced they had crafted a proposal that would raise the federal motor fuels tax by 12 cents per gallon over the next two years and permanently index the tax to inflation beginning in 2017. Their plan also calls for making permanent a series of tax breaks that must be periodically renewed to ensure the overall proposal results in a net tax cut. It is important to note this is a long-term proposal and the senators have indicated they do not expect consideration of their plan until after Congress has resolved the immediate revenue shortfall facing the Highway Trust Fund over the next few months.